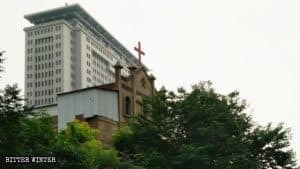 The Chinese authorities are continuing to crack down on the practices of so-called “generalization of halal” – the use of Muslim symbols and adherence to the customs of Islam outside the scope of food. 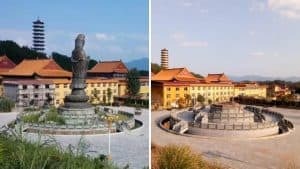 Bitter Winter reported last month that a municipal government in China’s northern Hebei Province issued a notice calling for investigation and regulation of Arabic symbols and control over the generalization of halal practices. 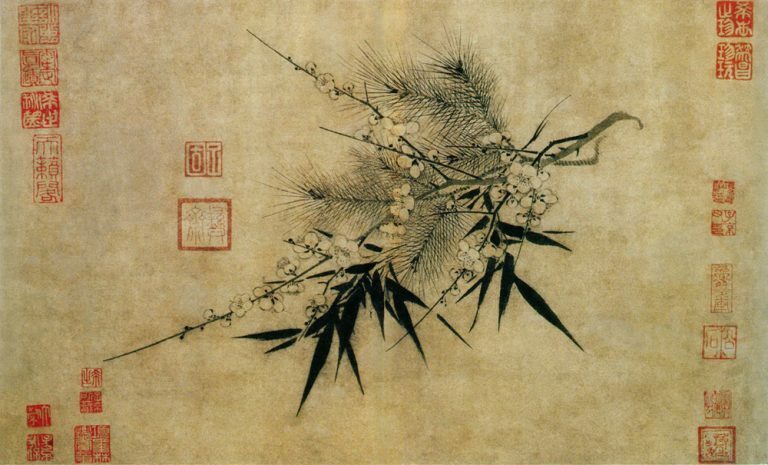 The newly received information proves that this crackdown has already spread and is intensifying across the province. 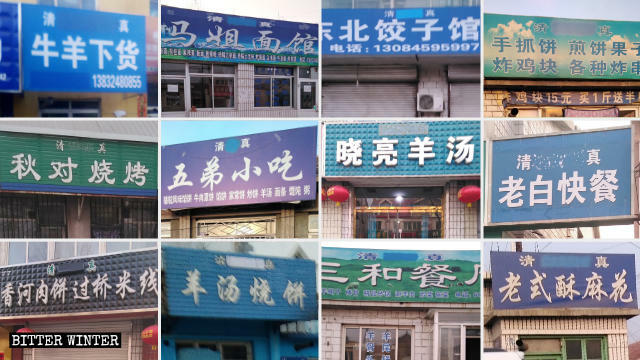 For example, Arabic symbols on signboards at halal restaurants in Shanghaiguan district of Qinhuangdao city have recently been removed or covered up. 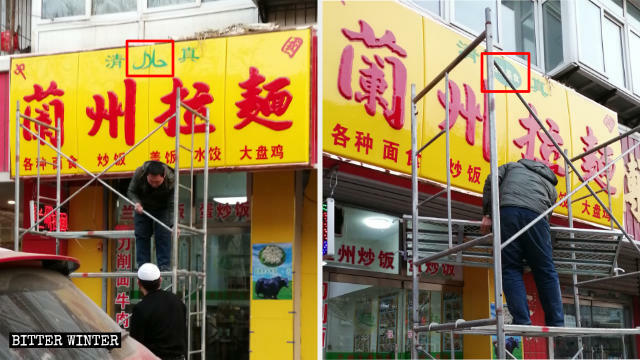 Arabic symbols on signboards at halal restaurants in Qinhuangdao city have been covered up. 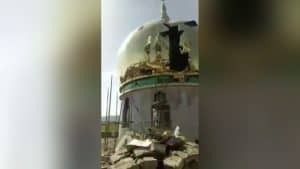 The campaign to remove Islamic symbols is not only negatively affecting the Hui Muslims’ economic standing but is seen as a crackdown on their religious beliefs and culture. “Removing symbols from the signboards is actually a way of suppressing Islamic culture, with the intent of destroying our religious beliefs,” the business owner said. 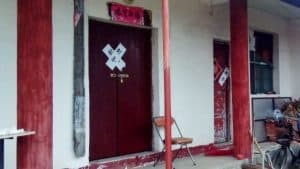 The areas with a high concentration of Hui Muslims in the cities of Chengde and Tangshan have also been caught in the storm of “de-Arabization.” According to some calculations, Islam-related symbols have been removed from almost 150 shops across three streets inhabited by Hui Muslims in Chengde. 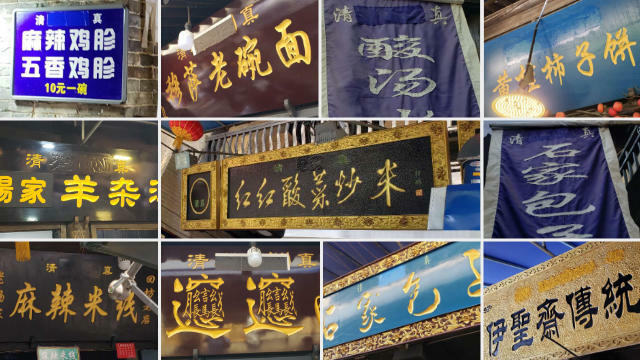 Arabic symbols have been painted over or covered up on signboards at many shops in Chengde city. 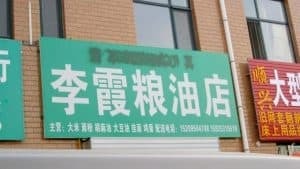 He added that since the Arabic symbols have been removed, customers can’t tell if Huis’ shops are halal or not, and this will undoubtedly affect their business. 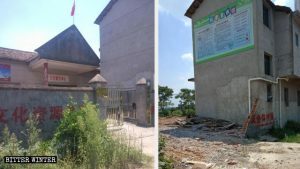 A Hui-populated street in Yuanjia village, a 4A-level national tourist spot located in the hinterland of Guanzhong Plain in northwestern Shaanxi Province, also fell victim to the anti-Islam purge, and Arabic symbols have been painted over or covered up on all halal restaurants’ signboards along the street. 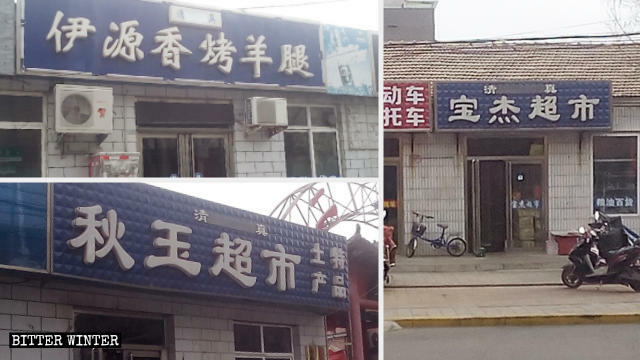 Arabic symbols on restaurant signboards on a street in Yuanjia village have been painted over.